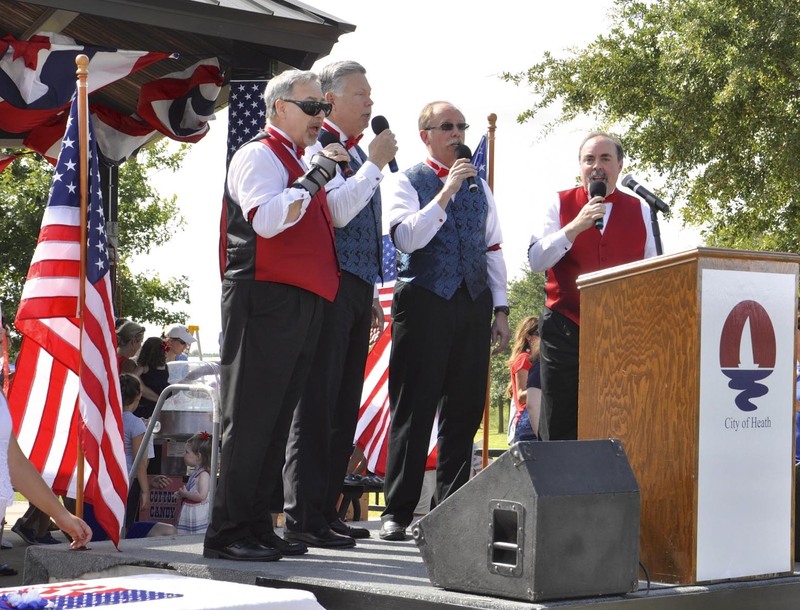 Heath, Texas, July 5, 2015… It was pure red, white and blue Americana in the City of Heath as the community celebrated July 4 with the annual hometown parade and a new patriotic program in the park afterwards. Mayor Lorne Liechty presented the parade awards and honored attending veterans; U.S. 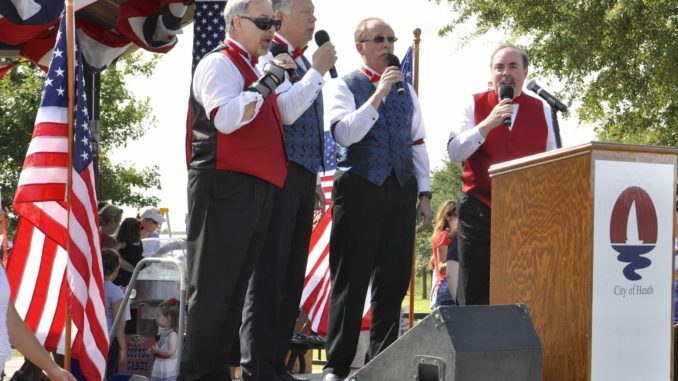 Congressman John Ratcliffe led the invocation and pledge of allegiance; and a live barbershop quartet sang the national anthem and other American favorites. And everyone cooled down with free popsicles, ice cold water and cotton candy. 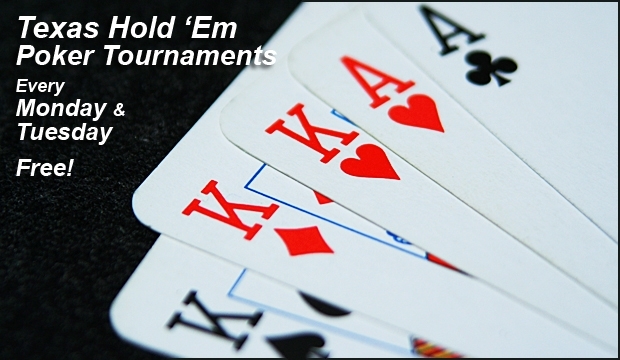 A highlights video can be viewed at www.heathtx.com. 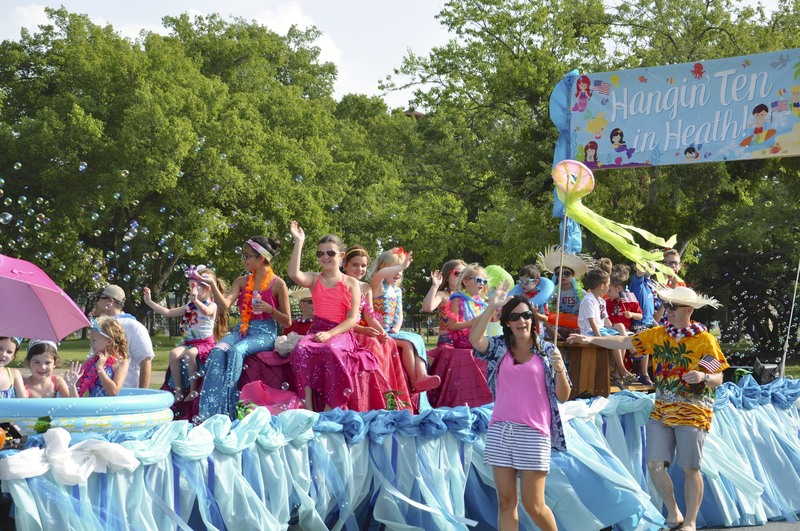 Best Float – Hangin Ten in Heath! The City thanks the Special Events Board and 2015 Special Events sponsors for making community celebrations like Independence Day in the Park possible. Special Events Board members: Sarah Corrigan, Jenni Knox, Mary Luxton, Tami Hogan and Eliana McGrath. Presenting Sponsors – American National Bank of Texas; Artsteam Mobile Art Studio; Atmos Energy; Chase Bank; Dental Professionals of Rockwall; Heath Salon & Spa; Horton & Archibald, a Professional Corporation; LiechtyMcGinnis, Attorneys & Counselors; North Texas Orthopedic Specialists & Dr. Scott Quinby; and Suddenlink. Juice It Up; Justin Holland, Regal Realtors; Karen Wydra, Ebby Halliday, Realtors; Oncor; Pabian Partners, Inc.; Progressive Waste Solutions; Smoothie King; Texas Health Presbyterian Hospital; and Urban Air Trampoline Park.